We have released a new tool, BrowserBoss. 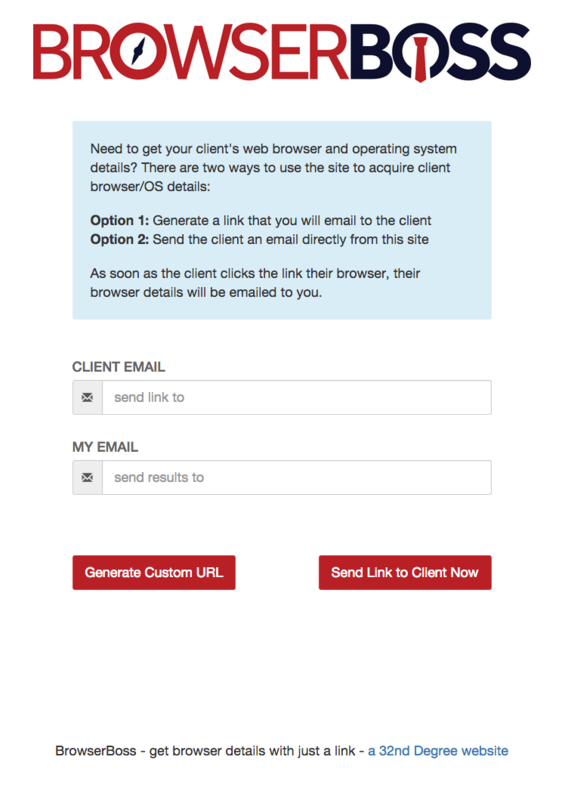 If you need to get your client’s browser details, now you can just by sending them a link. Cut out all the awkward back and forth emails. Send a custom link, when they click the link their browser details are emailed to you. Simple.